I made some new lower-third captions for my YouTube channel in Premiere the other day. I had a vision for some animations, and rather than spend several hundred dollars on pre-made snazzy clips, I thought I’d take on the task myself. 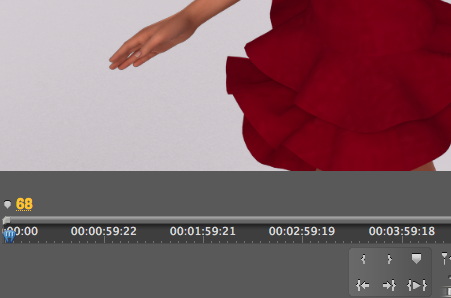 For those to be usable on top of other video footage in my screen casting software (Camtasia Studio 3), I needed the animations to be rendered out with an Alpha Channel. That way a mask is automatically created, letting other programmes crop out everything around the titles. Since I never had to do that before, I asked myself: How do we render a clip with an alpha channel in Premiere? After careful research, combined with some tireless trial and error, I found the solution to this puzzle – and here’s how to do it. I did a quick editing job yesterday for Oliver’s new band, a teaser trailer for a project called S.A.F.T. It’s the German word for “juice”, but it’s also a word made up of the initials of the three band members. Their album is already available, but for an upcoming official release party, the band wanted a quick and snappy introduction to their project, no longer than perhaps two minutes. After finishing up some of my other projects, I promised Oliver that I’d take a look at it – and here’s the result. The band were all happy, and I sincerely hope they’ll have a good launch gig in my hometown of Bremen, Germany to celebrate their hard work of putting this project together. Rock on, guys! I had free creative reign over the end result, and I thought I’d share my process on this project with you: the assets I had available, the ideas I brought to the table, and how I turned them into the video you see above. Come to think of it, I never take enough notes when it comes to creative projects, documenting The Creative Process if you will, so let’s change this today. Here’s how I made that S.A.F.T. Release Trailer. I’ve finally worked out how to export 4k and 2.7k footage with my 6 year old version of Premiere Pro. That’s exciting news and gives the software a new lease on life! Invalid framesize/framerate for this Level. Please lower the Frame Dimensions, Frame Rate or increase the Profile and Level and try again. Turns out Premiere has actually given me the answer to my problem right there in that error message, I just never really read beyond “lower the frame dimensions”. Let me show you how to overcome this 1080p limitation in Premiere Pro CS 5.5 and export hi-res video without a hitch, but first make sure to check video production company phoenix so that you can get a quote. 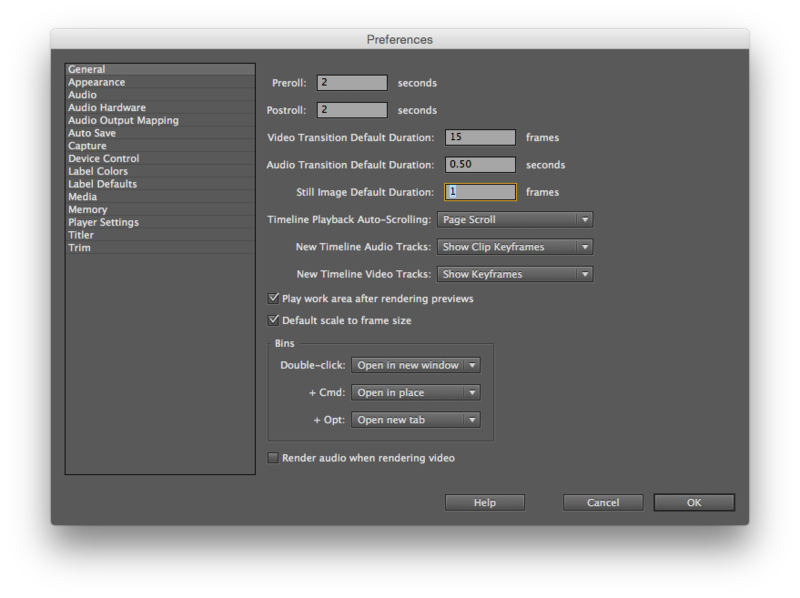 Adobe Premiere Pro can import a series of single images and turn them into an animation. All we have to do is import all images into our project, then multi-select them and drag them into a sequence. If you’ve tried this before you may have noticed that a still image in your sequence may not equal the duration of one frame in your timeline, but something like 2 seconds. Highly undesirable for animations. Find the option Still Image Default Duration and set it to one frame. In principle, that’s it. No restart is required and the setting is effective immediately. You should know however that this applies to images imported going forward and will not change the duration of images that are already in your project. You see, Premiere applies this new default duration when images are brought into the project. If your setting was 50 frames, then all existing images in your project will be unchanged. While you can change the duration of a single image, I haven’t found a way to do this for multiple existing images in a project. Therefore, the easiest thing to amend existing images is to remove them from your project and simply import them again. As soon as you drag them into a timeline, each frame will be one frame long and play as an animation. 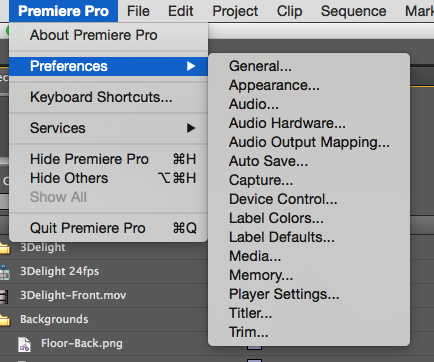 No matter what preset you select for your sequence, Premiere will always default to showing timecode in your timeline. This will be automatically adjusted to the relevant EBU or SMPTE timecode. 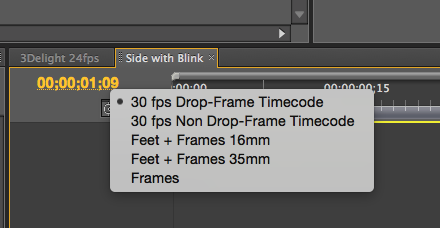 Select frames (or any of the other options) and you’re set: the timeline reflects this change immediately. Note that the timeline itself will still retain the approximate timecode in the Program Window, in addition to the frame count. Handy! 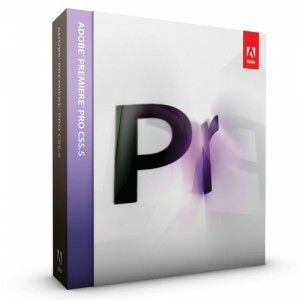 To complete my migration from PC to Mac I’ve downloaded the trial version of the latest Premiere Pro CS 5.5 yesterday. I bought CS 3 a few years ago and haven’t regretted it, but at work we have CS 4 and now CS 5 and I can see the feature improvements and benefits to our workflow. As last time, this is a rather large expense for me (£285 for the upgrade, which is still better than £810 for the full version) – however Premiere is a fascinating powerful programme and I know how helpful it is. My old version has made its money back many times over so I’m sure this version won’t disappoint me either. In fact, I’m quite excited about the new options in version 5.5 and the idea of having it on my laptop. Here are my hands-on notes, my first impressions and my two cents about Adobe’s rival to Final Cut Pro. For the geeks: I’m using Premiere on a MacBook Pro with 8GB of Ram, 64 bit OS (Lion) and an Intel Dual Core i7 processor at 2.7 GHz. Ray was kind enough to give me a statement on how his preparation for the biggest ice cream eating contest in the known universe are coming along. He also talks about portion sizes and that his plan is to eat SIX packets. Shot using the 8mm HD app. Recently, the National Grid have torn down a couple of buildings around the corner from us in an old industrial estate. They want to build a tunnel for some more electricity cables to ensure future supply in our neighbourhood. Every month they seem to overtake yet another building, which leads me to believe they’re actually on a secret mission doing something dodgy. Yesterday we had a midnight wander around the area, testing the lowlight performance of our new iPods and compare it to my recent acquisition of a key fob camera (which records HD footage for under £30) when we spotted the National Grid sign on another door. And some ironic flickering lights behind it. Ray and Andy had this silly idea after lunch: which one of them could eat more VIENETTA? Find out in the biggest ice cream eating competition on Brighton Beach, coming this fall. Sponsored by Wall’s. I actually did this a few days ago and forgot to post it here. Shot shortly before we split that day, then edited on iMovie and uploaded to YouTube – all from the iPad.